The history of mineralogical museum one of the oldest and biggest worldwide close related to history of mineralogy in Russia. Most part of famous Russian mineralogists used to work at the museum or their activity was related to museum. Museum was founded in 1716Ц. in Sankt Petersburg as a mineral cabinet of Kunstkammer.As a base for this mineral cabinet a collection of 1195 specimens was bought from doctor of medicine I.Gotvald from Gdansk on the order of Tzar Peter the Great. This collection was added by the material from Russian deposit and open for public in 1719. The KUNSTKAMMER was open in the Kikin's palace in Sankt Petersburg in in 1719. Tzar Peter the Great issued a special order. It was written there: ".....and then His Majesty has ordered to librarian Shumakher subordinated to the custodian of above mentioned Kunstkammer Areskin : since all things here established and arranged in proper order therefore let in anybody who wants to see the above mentioned Kunstkammer and guide them demonstrating and explaining the things." The admission to the Kunstkammer had been free of charge. Moreover since 1724 a special budget up to 400 rubles a year was arranged for entertainment of visiting public in order of natural science popularization This time the collection grow with specimens which were presenter to Russian Emperor Court or to Tzar Peter the Great personally. For example in 1718 the King of Sweden gave Czar Peter I a magnificent example of wire silver from the royal silver mines at Kongsberg, Norway, to add to this collection. This specimen called "Silver Horn" and is about 16 cm long. A couple of private collection was acquired: from Ja. Bruss, R. Areskin (bought in 1726) and other. The Russian Academy of Sciences was founded at 1725 and at the same year the mineral cabinet (together with all Kunstkammer) was given under it's subordination. The laboratories and libraries were arranged in Kunstkammer. It was growing really quick that's why new building was built in 1727. Increased mining activity in Russia helped collection to grow as mining companies began sending samples to the Mineral cabinet from new discoveries in Urals, Altay, Transbaikal and other regions of Russia. By 1745 the collection had grown to include more then 3000 minerals, fossils, gems and rocks. By this time it was already one of most exciting Europe collection with a great aesthetic and scientific value. This great quantity of material required sorting and cataloging. First to be appointed to the task of organizing the mineral cabinet was German scientist Johann Gmelin (1709-1755). Thereafter, Mikhail V. Lomonosov, who had just completed his studies in Germany, continued the work. For almost five years, Lomonosov sorted out the collection and compiled a catalogue which was published in 1745. The catalogue which was published in 1745, listed some 3 000 samples mentioned above. 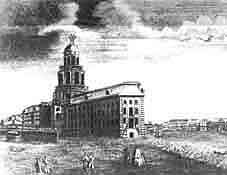 The tragic accident had happened on December 5th, 1747. A great fire destroyed virtually the whole collection. Only the most valuable items were saved, including the native silver from Kongsberg. After renovation of the Kunstkammer building in 1766, the collection again grew -thanks to the efforts of researcher P. S. Pallas and extensive geological exploration work. Under a government decree, mineral and ore samples were collected from existing mining deposits. 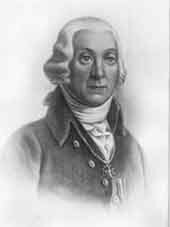 By 1767 academician P.S.Pallas (1741 -1811) - famous scientist and traveler became a chief of Mineral cabinet. He was taking part in some of as named Great Siberian expeditions. The second part of 18th century was really great time of geographical and geological prospecting of eastern parts of Russia. The expeditions sometimes were continuing more then ten years and the material collected enriched a lot museum collections. As an example a big piece of iron-stone meteorite (687 kg) was found by P.S. Pallas in Siberia. Now it's called Pallas iron. There were delivered to museum about 2000 specimens collected in expeditions. Purchases were also made from private collections. In 1784, an interesting national collection of minerals was purchased from the estate of A.A. Nartov (former president of Berg College). 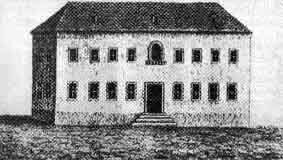 By the mid 1780s the cabinet comprised more than 9 000 exhibits.To place new and old acquisitions museum got two new big halls in Kunstkammer building and a strong group of scientists - academicians Iogann Gotlib (Georgi) (1729-1802), Iogan Ferber (1743-1790), J.M. Renovantz (1744-1798) and others - start systematization and reordering the mineral collections. They were divided geographically to Russian minerals and rock collection and foreign collection. The fossils were separated to a special collection. Minerals were placed according classification based on their properties. Finally the description of the entire collection was prepared to 1789 in Russian . To the end of XVII century 10550 specimens were encountered including about 4000 samples from Russian - and more than 6000 from foreign deposits. At the turn of the century the work of academician Vasiliy M.Severgin (1765-1826) had a great impact on the development of Russian mineralogy. On becoming Director of the mineral cabinet in 1807, Severgin began an fundamental reorganization of the complete mineral collection. V. M. Severgin later arranged mineral exchanges with foreign scientists and bought a few major collections from within Russia. The most important collection acquired this time were collection of Forster (about 5000 specimens) (1805), collection of colonel Shenshin and collection of famous french mineralogist J.L. de Bournon (1807) and many others. He arranged mineral collection according his classification and continued dividing collections by geographical principle. V.Severgin also arranged collections for students studying using R.J. Haui system. The activity in reordering collections was interrupted by the war with Napoleon in 1812. The main part of collection was evacuated to Petrozavodsk and returned back next year. 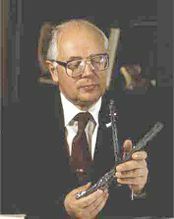 V.Severgin's work on museum materials give him a possibility to publish the results in his famous monographs. Among them first book for diagnostic the minerals based on his external features, "The first basements of Mineralogy or natural history mined bodies", "The experience of mineralogical description of Russia", first guide through the Mineral cabinet and other publication. The achievement for the period of V.Severgin's work at the Mineral cabinet was so great that turned the collection from a set of earth curious rarities to a really scientific collection. To 1814 the quantity of specimens in museum collection was already more than 20000 so during a short period museum collection became more than twice bigger. After V.Severgin's death the A.T Kupffer (1799-1865) was a director of the Mineral cabinet. At that time a few collections of minerals from Norway, Sweden and England were acquired. The collection of Russian diplomat G.A. Struve was bought in Hamburg, Germany. By 1836 Kunstkammer was divided to 7 separate museums. One of them was named Mineralogical museum which was placed to new building. 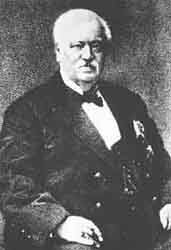 Geologist G.P Gelmersen (1803-1885) became a director of the museum. From 1845 to 1857 the director was K.I. Grieving (1819-1887). In 1866 well known Russian mineralogist N.I.Koksharov (1818 - 1892) was selected as an ordinary academician and at the same time the museum director. The scientific activity of N.I.Koksharov was mostly related with Mining institute where Koksharov also had got director's position in 1872. That's why there was no his evident influence in developing mineralogy in museum. Whole period up to the end of 19th century was not really brilliant. There weren't big expedition work and collection mostly grow by purchasing private collections. Among noticeable acquisitions the collections of I.P.Balashov (1868), S.G.Stroganov (1877), A.F. Folbort (1877) and other. The museum gradually became oriented toward geology and paleontology and finally in 1898 was renamed to the "Geological Museum", which he became in fact. The mineral collection and exhibits were diminished, being replaced by rock specimens and fossil exhibits. This situation was changed thanks to Russian geologist academician A.P. Karpinskiy who placed a protest against diminishing mineralogy in Mineralogical museum. He and another geologist - academician F. N. Chernyshev who was an appointed director of the museum since 1900 invited V. I. Vernadskiy for taking care about mineralogy. In 1906 the work of the museum was delivered to academician V. I. Vernadskiy . Under his guidance mineralogy began to thrive again. F.N.Chernyshov also engaged to work in museum since 1900 V.I. Vorob'ev, who was main keeper. The achievements in fast growing of mineral collections between 1900 and 1906 was mostly related with Vorob'ev's activity. In particular he obtain the collection of Russian Mineralogical Society for museum. In 1906 Vorob'ev perished during expedition to Caucasus mountains. As it appeared after his tragic death his capital (20000 rubles) was bequeathed to museum. The percents from this capital could be spent only for purchasing mineral specimens and collections. That was used to buy about 100 valuable specimens of Urals minerals from collector K.A.Shishkovskiy. The collection of mining engineer I.N.Kryzhanovskiy also was obtained on those money and a few others. In 1912, the name was changed to "The Museum of Geology and Mineralogy" and was dedicated to Peter the Great. The mineral research laboratory was founded and research trips were organized to the Urals, Siberia and Transbaikal. During that time a few large collections were purchased. Deserving of particular mention was A. P. Kochubey's collection of over 2700 mineral specimens from Russian and foreign deposits which his heirs had moved to Austria. F.N. Chernyshev and V. I. Vernadsky vigorously redressed the situation when in 1912 Russia purchased this collection for 160 000 rubies for the Academy of Sciences at a Viennese auction. The collection was thereafter moved in 1914 to the Museum of Mineralogy. V.I.Vernadskiy engaged to museum many young, talented and energetic scientist. Among them were future directors of the museum A.E.Fersman, V.I.Kryzhanovskiy. After about 100 years break V.Vernadskiy restart work on systematization museum funds and exhibits. Museum funds were separating to 6 main collection: systematic collection, crystal collection, pseudomorph collection, locality collection, gem collection and meteoritic collection. The system of mineralogy by D.Dana was used for systematic collection. Inventory books and cards catalogs were renovated or made again. Big achievements were also in scientific work. The new chemical, spectrum and other laboratories were arranged where the minerals of rare and radioactive elements were investigated. The expeditions to Urals, Transbaikal were taking place nearly every year. The magazine "Transactions of Peter the Great Geological Museum" was founded. 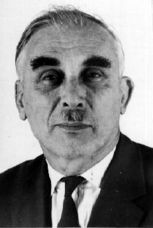 For space mineralogy investigation L.A.Kulik (1883 -1942) was engaged and made a lot for developing meteoritic science. Successful museum work was interrupted by First World War and then by Revolution in 1917. The expeditions were also arranged to Siberia, Caucasus and discover a few new mining regions. So that was really great time in museum history. The acquisition many of rather interesting articles made of stones and some gemstones directly related with A.E.Fersman. Having some influence on communist administration he could save some treasures expropriated from reach class after revolution so it wasn't sold abroad. Famous jeweler K.Faberge presented trough A.E.Fersman his private collection of gemstones to museum before emigration from Russia in 1919. As his teacher V.I.Vernadskiy academician A.E.Fersman engaged to museum so many talented scientist that the whole institute was arranged in 1930 on the museum base. It was named the "Institute for Mineralogy and Geochemistry", which in 1932 was renamed the "Geochemical, Mineralogical and Crystallographic Institute" and dedicated to M.V. Lomonosov. Academician A.E. Fersman was appointed its director. Another group of scientist from museum who was study crystals grow and crystallochemistry A.V. Shubnikov, N.V.Belov and other was separated to the institute of crystallography. In 1934, the Soviet Academy of Sciences and most of its faculties including the Museum of Mineralogy moved from Leningrad to Moscow. Thirty railway carriages were required to move the museum's collection of more than 60000 specimens. The relocation and setting up of the exhibition took 3 years of energetic work. In 1936 -1937 the museum organized independent exhibitions in Moscow. Museum was placed to a historical building which represents Moscow's architecture of the beginning 19 century (architecture E.Turin) which was built for Count Orlov-Chesmensky as a manege to accommodate a riding hall and stables. Under Emperor Nicholas I the building was served as an out of town dancing hall for Russian Court. After setting the exhibits museum was open in 1937 to the time of XVII International Geological Congress in Moscow. The movement didn't interrupt too much museum expedition and work with collections. By the beginning Second World War for Soviet Union about 80000 specimens were calculated in museum collections. When the war began in 1941 the most valuable part of collection was evacuated from Moscow and returned at 1944. In 1945 died academicians V.I.Vernadskiy and A.E.Fersman. The director's position was delivered to V.I. 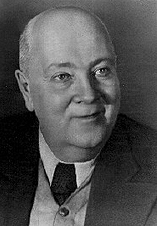 Kryzhanovskiy (1881-1947) who was actually working as an executive director of museum while A.E.Fersman was leading both institute and museum. He made a huge work for an arrangement mineral exchange and was known as a brilliant lector. Couple years 1947-1953 the museum director was D.S.Belyankin (1876 -1953). He renewed publishing of museum magazine (the publishing was interrupted by the war). Long time since 1953 to 1976 museum director was G.P.Barsanov.During that time the new systematic exposition based on Barsanov's crystalochemical classification was created. The scientific work was mainly directed to investigation of pegmatites in different regions of Soviet Union. In 1955 in honor of academician A.E.Fersman achievements museum was renamed to Fersman Mineralogical Museum. Yu.L. 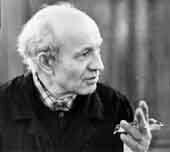 Orlov became a director in 1976 after G.P.Barsanov became a head of mineralogy chair in Moscow University. His activity was mainly related to investigations of diamonds. Museum got a nice collection of diamonds with inclusions. Since 1983 to 1995 the museum work was under leadership of A.A.Godovikov. He developed rearrangement of the exhibits after long reconstruction of the building was leading in preparationmuseum to XXVII International Geological Congress in Moscow 1984. Old exhibits were renovated and five new big exhibit was made. One of those exhibits is "The forms of crystallization minerals in nature" and the biggest one is systematic exhibit according his classification which was finished already after his death. A.A.Godovikov presented to museum his private collection about 5000 specimens and beside that collected, traded a lot of great scientific and aesthetic value materials. By museum expeditions, exchange and purchasing private collections museum got a high class mineral specimens. The work on creating mineral databases and computerization of museum catalogs started at that time. Museum served many external exhibits worldwide. A special merit of A.Godovikov in engaging another outstanding Russian mineralogist V.I.Stepanov to work in museum. V.I.Stepanov came with collection which he collected about 40 years. The main part of collection consisted of 15000 specimens. Before movement to Fersman museum collection was kept in institute of Mineralogy and Geochemistry of rare elements; in the basement in rather dangerous situation. This collection contained more than 100 mineral species which were absent in museum before. Moreover it contain huge amount specimens from the deposits completely mined out. This collection is actually one the pearl of our museum. This thanks to A.Godovikov and V.I.Stepanov in period 1983-1985 museum collection increased more than on 25000 specimens - valuable ones. 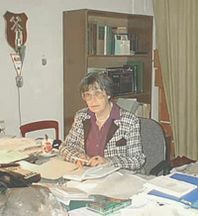 Director of the Fersman Mineralogical museum 1996 -2010 were - Dr., professor Margarita I.Novgorodova. Professor Novogorodova is specializing specialist in mineralogy of gold deposits, native elements and intermetallid compounds. Director of the Fersman Mineralogical museum 2011 -2015. Currently Scientific leader of the Museum - Dr. of Science, Academician of Russian Academy of Natural Science, Awardee of Russian Government prize for science and technik. Professor Viktor K.Garanin specializing in mineralogy and geology of dianond deposits. 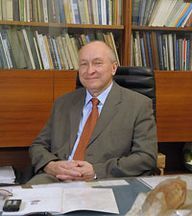 Currently since 2016 Director of the Fersman Mineralogical Museum is Pavel Yurievich Plechov, Doctor of Science, Professor Plechov is specializing in rock-forming minerals, magmatic petrology and volcanology. Nowadays altogether museum collections containing 135000 exponats from over the world. This is one of most exciting mineral museum of the world. The collection represents 2300 among 4000 known mineral species. About 12000 specimens are on more then 20 exhibits in museum hall. All museum collections are computer cataloged. Museum and mineral species databases developed in museum are available. Museum arranging temporary exhibits of Russian minerals and gems heritage in Russia and abroad. WELCOME TO FERSMAN MINERALOGICAL MUSEUM!